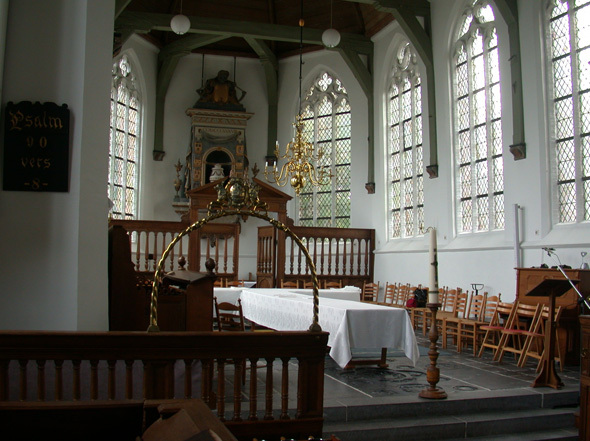 The weaving of communion damask is one of our specialities. 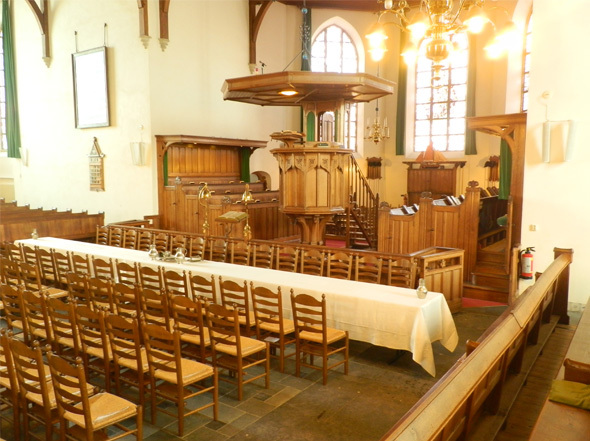 We have several basic patterns that can be adapted for each church, depending on the particular wishes of the church community. 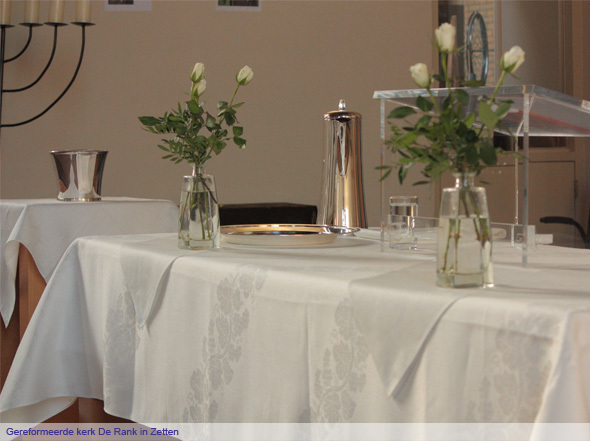 As with all our damask, the tablecloths are woven to fit the exact length and width of the communion tables in your church. This is even possible for tables up to ten metres long. 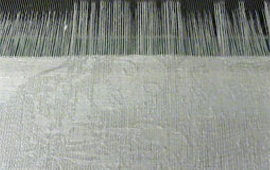 The excellent quality weaving uses only the finest linen threads, which gives the damask its beautiful, lasting sheen. As well as tablecloths, runners, napkins and other cloths can also be adapted to meet your wishes. 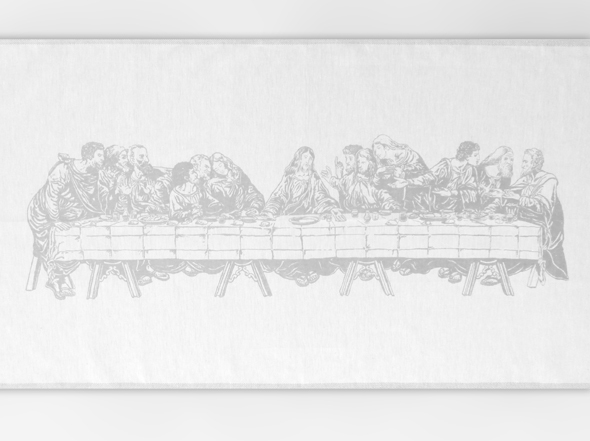 At the request of several churches, we have developed a new damask design based on Leonardo da Vinci’s famous painting The Last Supper. 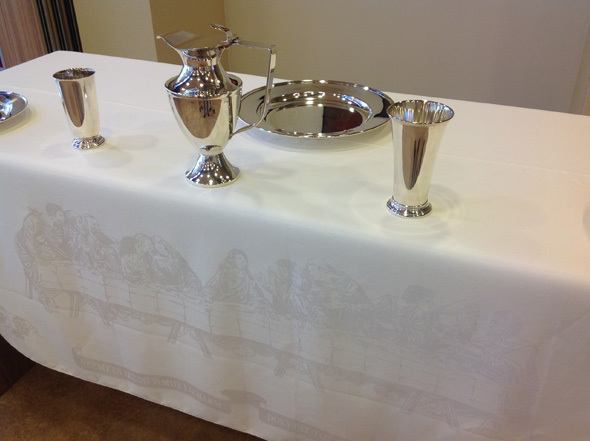 There is a centuries-old tradition of using tablecloths with this damask pattern to celebrate Holy Communion. However, transposing the eight metre-wide, colourful mural painting by Leonardo da Vinci to a black and white drawing demands an artist’s eye and craftsmanship. Artist Willem van ‘t Riet created the new drawing based on a 19th century steel engraving. 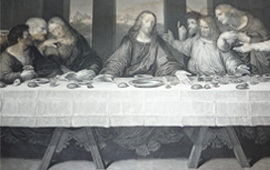 His damask interpretation of The Last Supper (100 x 30 cm, or 39,5 x 12 inch) is full of the dynamism seen in Da Vinci’s original. 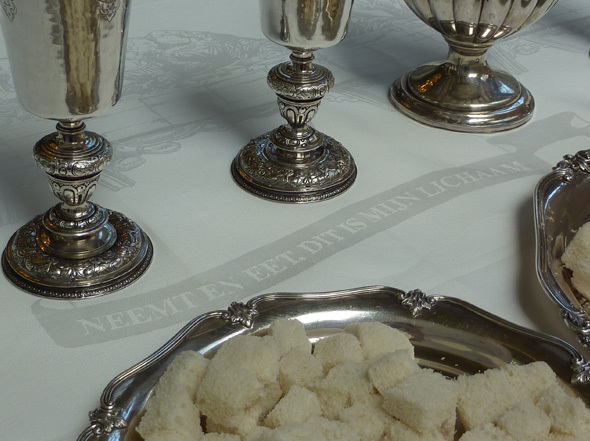 Beneath the image is a banner with the text ‘Neemt en eet, dit is mijn lichaam, doet dit tot mijne gedachtenis’ (‘Take, eat, this is my body, do this in remembrance of me’). 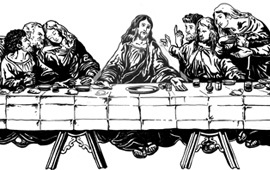 Van ‘t Riet also designed the Grapevines and Ears of Wheat border pattern as a fitting frame for The Last Supper. Based on his drawings, our weaving mill in Ireland has made a card information file for the tablecloths, which it weaves in the finest quality pure linen damask. The Grapevines and Ears of Wheat pattern can be woven to the exact measurements required by the church. 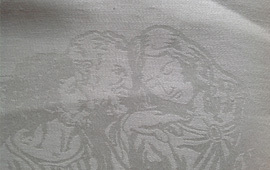 The pattern can be woven into the borders of the tablecloth and as a smaller motif on top, so that it is seen twice in the tablecloth. The shield with the text ‘Deze drinkbeker is het nieuwe testament in Mijn bloed, hetwelk voor U vergoten wordt’ (‘This cup is the new testament in my blood, which is shed for you’) can be incorporated both in the Grapevines and Ears of Wheat pattern and in the The Last Supper designs. 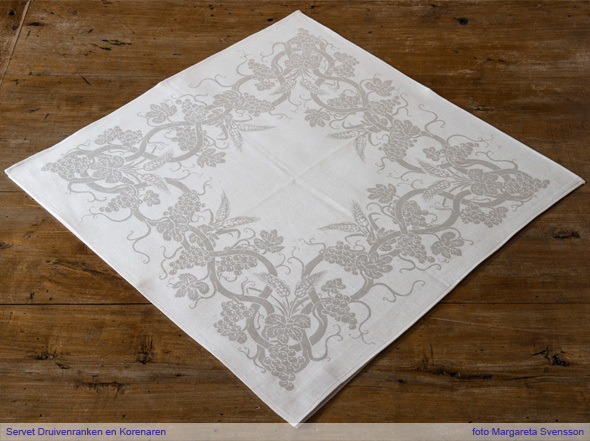 The Grapevines design, reconstructed by Sanny based on 19th century drawings, can also be used as communion damask in your church. 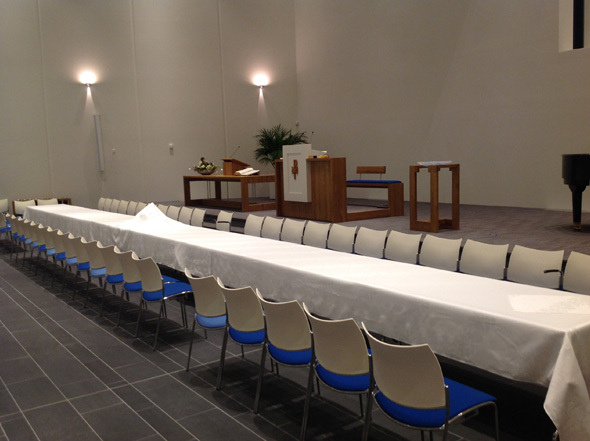 The Grapevine Waves design has been especially created for churches with unusual sized tables or a smaller budget. 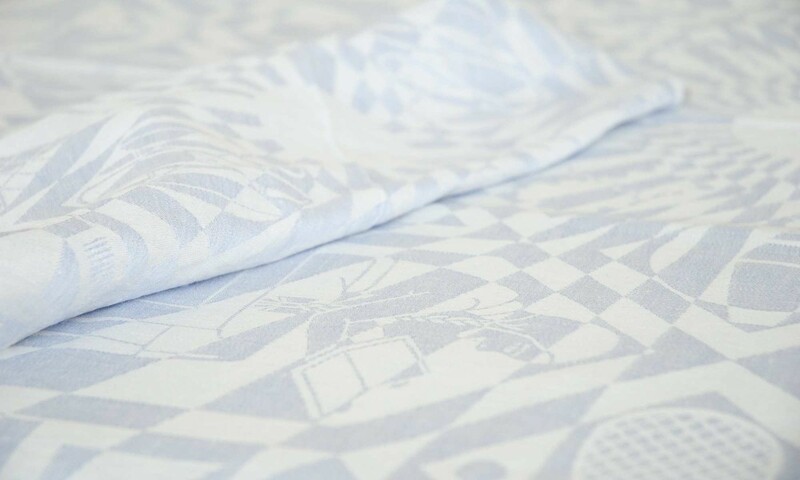 In this damask, the grapevines run diagonally across the tablecloth, like waves in the sea. This damask is always in stock and can therefore be delivered at short notice. It is cut to size as required and hemmed in our Irish weaving mill. Delivery time is about two to four weeks. 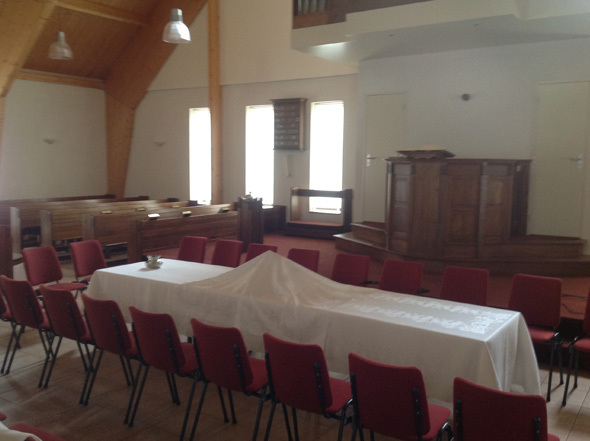 Delivery time is about three months for made-to-measure tablecloths. The delivery time for the Grapevine Waves design is two to four weeks. The damask is sent in a strong linen box that can also be used to store it in. Of course, we also send information on how to care for your damask and, if necessary, we will be very happy to help you set your table the first time as we take great pleasure in seeing the results of the process, from idea to reality! 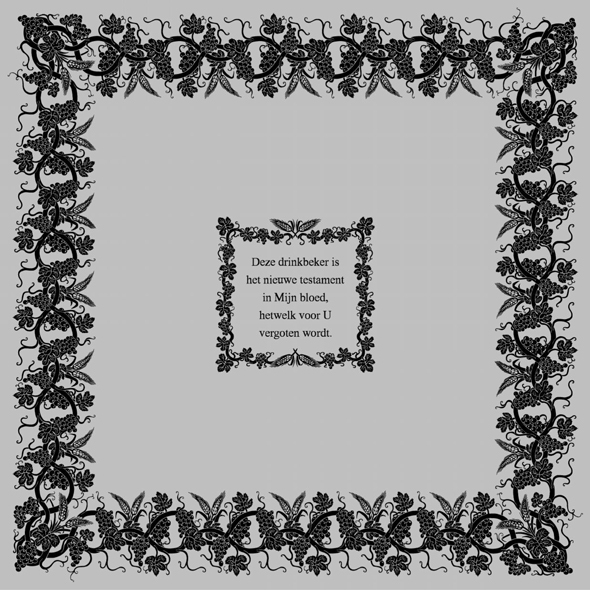 We will also be pleased to send you a napkin so that you can see and feel the quality of the damask for yourself. Please do not hesitate to contact us should you require any further advice or if you have any questions. You can contact us by telephone on: 003115-2135520.